It is an absolutely gorgeous animal, but would you have it killed for its fur? One of the more beautiful creatures I'm unlikely to ever see in the wild, the arctic fox is one well adapted dude. These far northern foxes can tolerate things a Texan can scarcely imagine. Living in the same areas as the very large polar bear, the arctic fox is a natural born survivor of the cold. We are talking here about an animal that doesn't truly begin to feel the cold until the temperatures are near one hundred degrees Fahrenheit below zero. If you don't begin to get cold until it is one hundred below zero, then one may as well think themselves impervious to the cold. 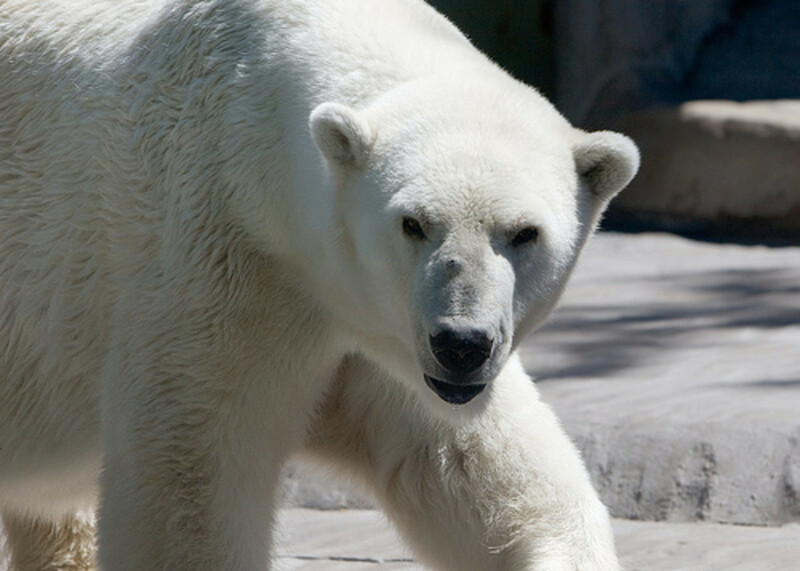 Polar bears, except for pregnant females, do not hibernate at all, and neither do the arctic foxes. 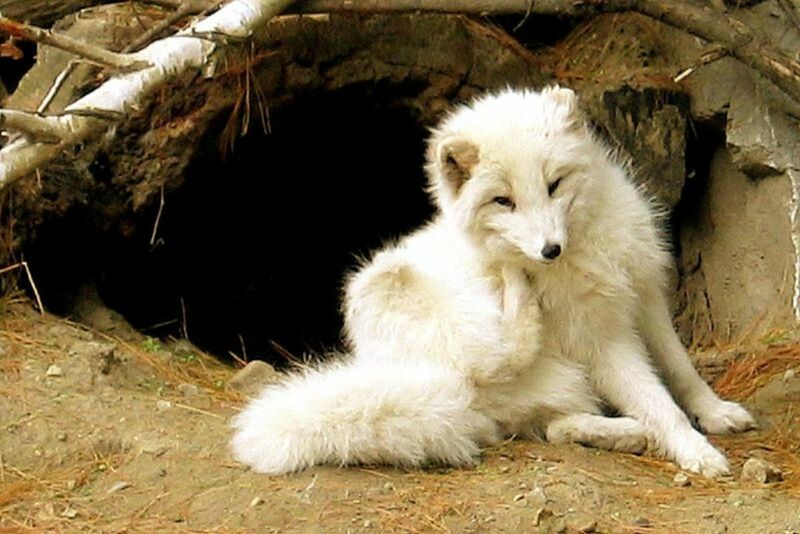 The arctic foxes do build elaborate dens, but they remain active at all times in the years. Speaking of polar bears, the mascot for the far north, the arctic foxes and the polar bears of this world have a bit of an agreement going. Nature abhors a vacuum, and this is law. 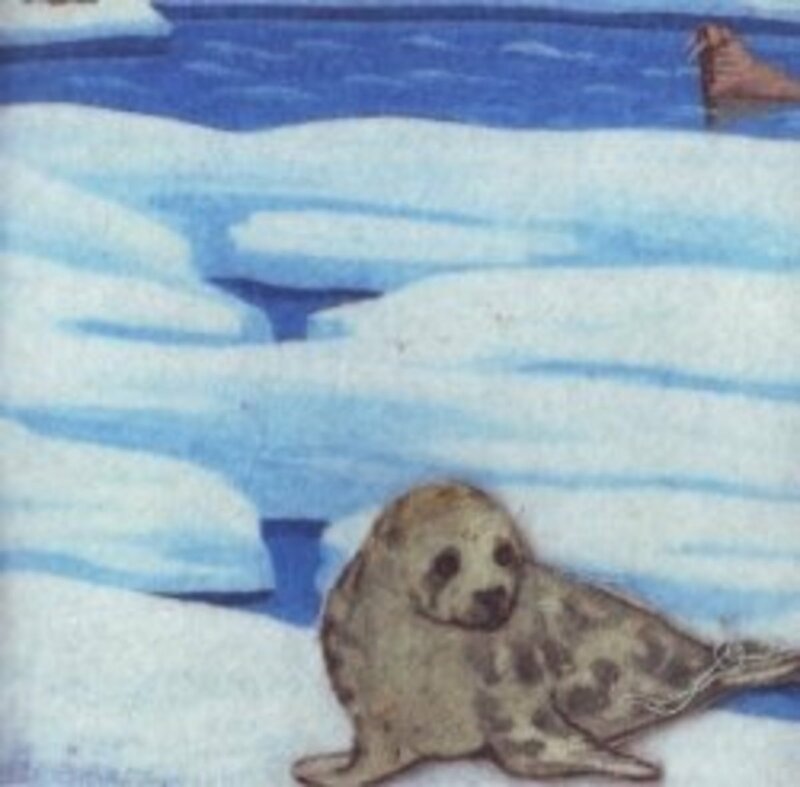 Polar bears kill lots of seals, but polar bears only eat the fat on the seal, the rest of the seals, including all the muscle or meat - is simply left behind. 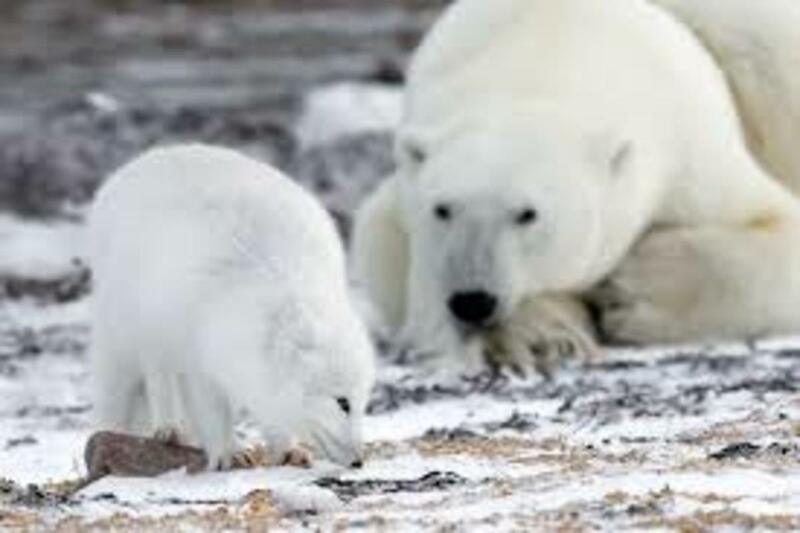 Nature abhors a vacuum, and so the arctic foxes pick up where the polar bears left off, and eat the rest of the seals. You can imagine they are rather thankful to big brother polar bears. Now just because the arctic foxes get some assistance with their diets from massive polar bears, you shouldn't assume they aren't hunters. 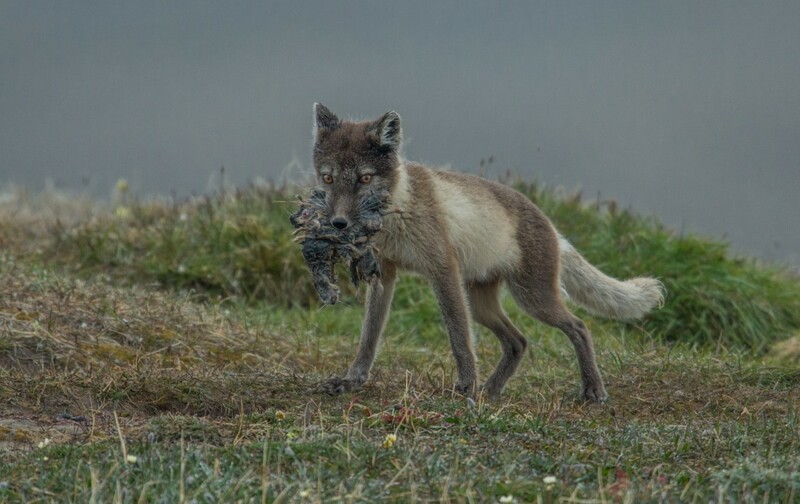 Arctic foxes are definitely hunters. An arctic fox will eat any small animal it can find to eat. For the most part, the diet of an arctic fox consists of small rodents like lemmings, voles, hares, birds, eggs, fish, and of course, the polar bear left carrion seals. Living ringed seal pups are often prey, but the arctic fox is an opportunist, just as almost all of us are. To be successful is to have a diverse diet. The arctic foxes are rather successful. Besides the meat, arctic foxes sometimes consume some seaweeds and berries. For the vegetation consumed the arctic foxes can be considered as omnivores. When there is an abundance of food, the arctic foxes show some wisdom by burying caches of food for later meals. If you want to talk about hunting, well then, the arctic fox is all ears. The fox's ears are its superpower. The arctic fox can hear into the future - as it can hear a future meal under the snow, dig it out, and make the prophecy of a meal a reality. 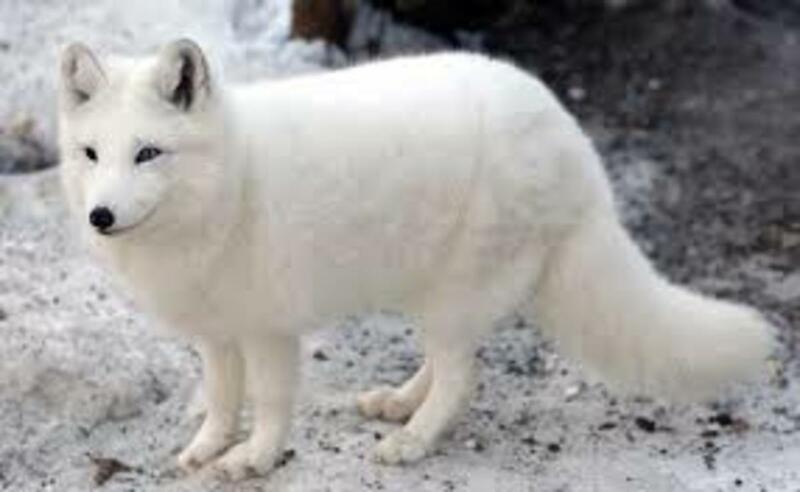 You always think of arctic foxes as being a very pure color white, but this is only true during the Winter. The rest of the year, after the thick thick coat is shed, the arctic foxes are much more brown in color. But how in the world could a mammal live in such extreme cold to begin with? Well, evolution, of course, has adapted the arctic foxes to their environment. Their bodies are shaped to where heat doesn't escape from them. Their fur coat is multi-layered, and then there is the countercurrent heat exchange. Insofar as the arctic foxes go, the countercurrent heat exchange is within the circulatory system, as parallel veins flowing in opposite directions conserve the heat already within the arctic fox's body. The fox also has a rather generous supply of fat. The arctic foxes certainly know when Winter is coming, and like bears will do, they gorge themselves in preparation for the extreme weather. They eat so much in the Fall the often increase their body weight by nearly half. Wouldn't it be nice if you and I could both know when times are going to get tough like the arctic foxes do? There is a hell of a lot more to the arctic fox's den than meets the eye. The den is no mere hole in the ground, but a large and elaborate system of tunnels with multiple entrances or exits. The arctic fox's den may stretch an incredible twelve hundred yards. 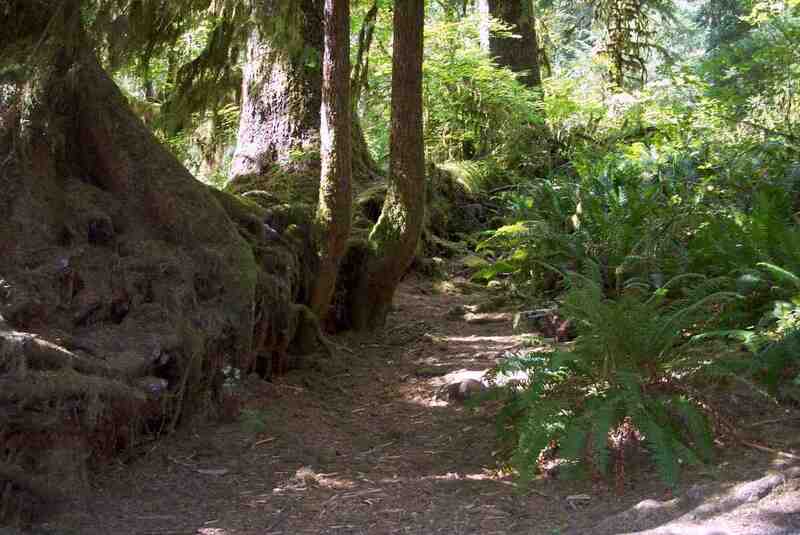 The den is also a home passed down over many generations, and may have been in existence several decades. There is wisdom to be had from the fox in this too. Of course the young foxes are raised, fed, and protected in the large and elaborate dens. Like wolves will do, foxes who are not the parents of the young foxes will often assist in caring for them. 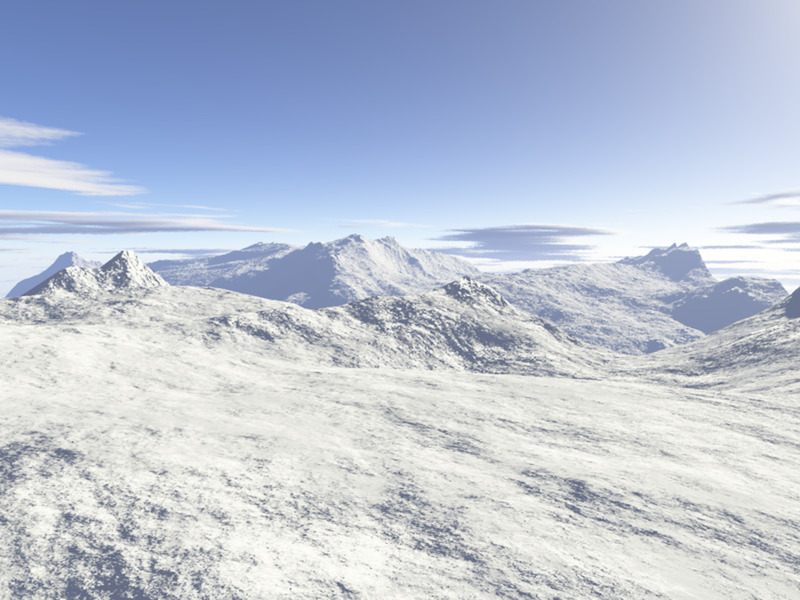 Survival in such harsh conditions requires cooperation. Arctic foxes form monogamous pairs. Breeding takes place in the Spring, and then about fifty two days later, fox pups are born. Out of all the animals in the order Carnivora - the arctic foxes have the largest litters of pups. Once upon a time a litter of twenty five fox pups was recorded! There is very very little difference in size between the male and female arctic foxes.The male arctic foxes are only ever a little bit larger than the females. The arctic foxes stand between nine inches and one foot tall from the ground. They are usually around twenty inches in length with a one foot long tail, and weigh between three to twenty pounds. Now remember, the arctic foxes usually double their weight each year just prior to Winter. By the end of Winter, their weight has been reduced. Arctic foxes are Vulpini, or true foxes. Foxes are definitely Canids, and so fall into the Carnivora order despite being, as many other Genus and species of Carnivora, omnivores. There are four subspecies of arctic foxes, and all arctic foxes are found in the Northern hemisphere in the arctic regions. This covers a lot of land mass, these places the arctic foxes live, and so there are isolated populations who've been isolated for a very long time - time enough to develop into distinct sub-species. Consider Iceland, that cold island nation; the arctic fox is the only mammal native to the place. 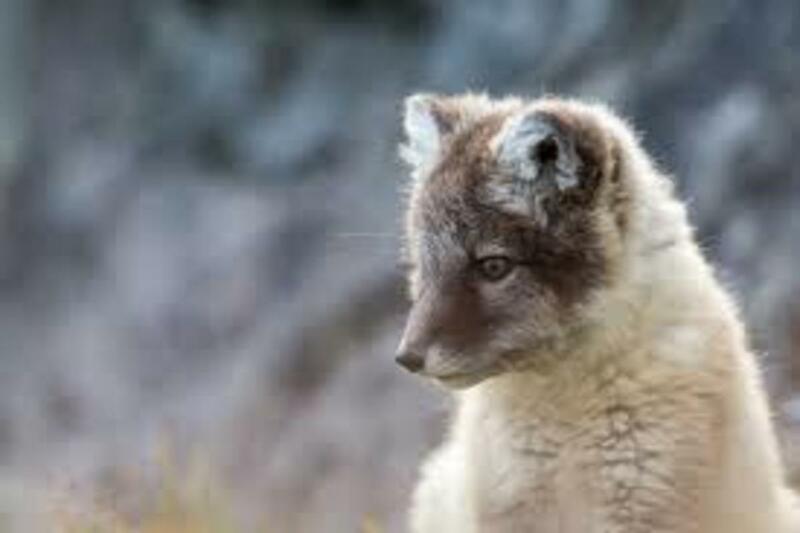 There are only two groups of arctic foxes endangered at all,the ones living in Scandinavia, and a small population on Medny Island in Russia. This threatening situation is in spite of the fact these foxes are protected by law in those regions. We've got to do away with the trapping of the arctic foxes in order to prevent continued decline. Refusing to purchase products of arctic fox fur would be a grand and effective way to do this. Human hunting and trapping are not the only threat to arctic foxes. Climate change, whether man made, or not - threatens the arctic foxes. You see, the camouflage white color only aids the foxes in the snow cover, and as Northern regions are warming, the larger red foxes are encroaching on their arctic kinfolk's territory. This is entirely natural, especially should you be the type who realizes climate is forever changing, regardless or in spite of humankind's affairs. Additional threats come from anything which reduces the populations of lemmings and voles, or migratory birds which arctic foxes use to sustain their beautiful selves with. Thanks for reading. What a beautiful animal! I love foxes and wolves. 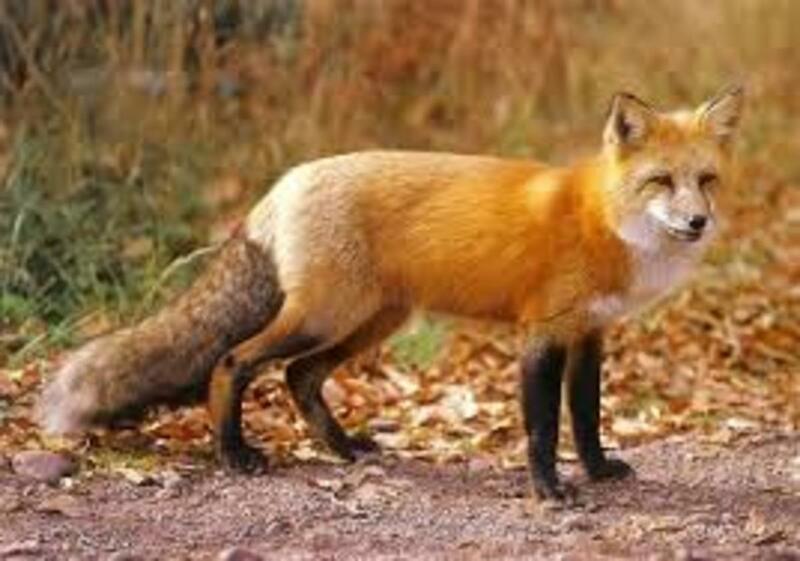 We have red foxes in Britain who for decades now have taken over areas in inner cities too! I would never buy anything which is made out of fur. The only excuse I could accept is when those who inhabit such climes need coats to match; they are usually taken when animals are killed for food I believe. Fascinating hub and wonderful photos. I have a few more of your animal hubs to catch up with. Them raccoon are just plain smart! Knew a guy who had one he'd raised...I reached to pet that booger and was absolutely terrified by the growl it made at me. Had some chow dogs that treed a family of 'em in the yard. Them chows just waited for them to come down....I was kinda sad about it all, wish they'd found a better place to tree up. Raccons are a nuisance, but if taken from the nest and imprinted with humans at an early age they are the coolest pets, at least until they mature sexually. Not an indoor pet though, they destroy everything. You know they're the only mammal that can be raised and kept in captivity for years but will survive if released into the wild at any time. Sarah can see Russia from her back yard, when they're entertaining The Joe Six-Pack family with a Moose BBQ. There's an old Russian guy who fishes from my creek sometimes, but the only thing I can see from my porch are geese, deer & there's sometimes kids in the woods playing paint ball. Wes, I hear strange sounds in the night sometimes too......the damned racoons tearin into my garbage....rotten critters! I suspect those sounds could be foxes if they are around. Could also be coyotes who hunt foxes so if you see coyotes and never see a fox could be them wiley coyotes. 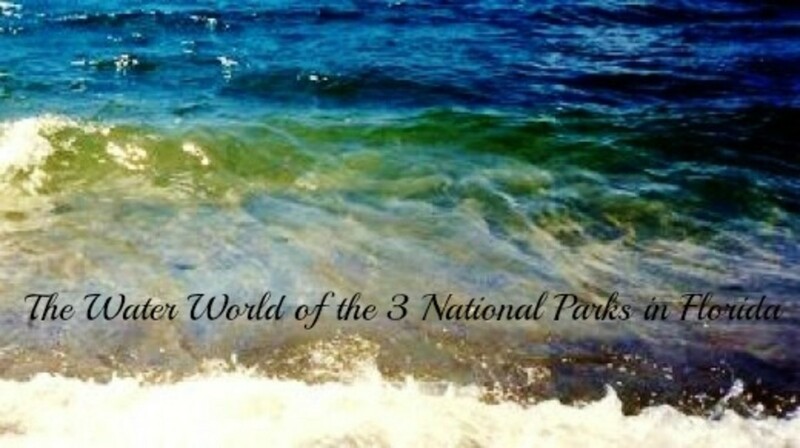 Anyway keep the wildlife hub pages coming, you do a great job! I love reading them. tsadjatko - you sir, are an amazing source of info! I mean personal experience info. You know - I hear strange sounds in the night sometimes, sounds that aren't from large cats or coyotes. Very impossible to type out something to give the 'gist' of the sounds...but an old man known as 'dad' says those are foxes. I've never seen a grey fox outdoors, but then again I've never seen a bobcat either. Surely both are here...just out of sight, somewhere. Now Arctic fox is something I have had experience with. More stories you won't believe but If you want to hear them u can visit my unusal pets hubs. 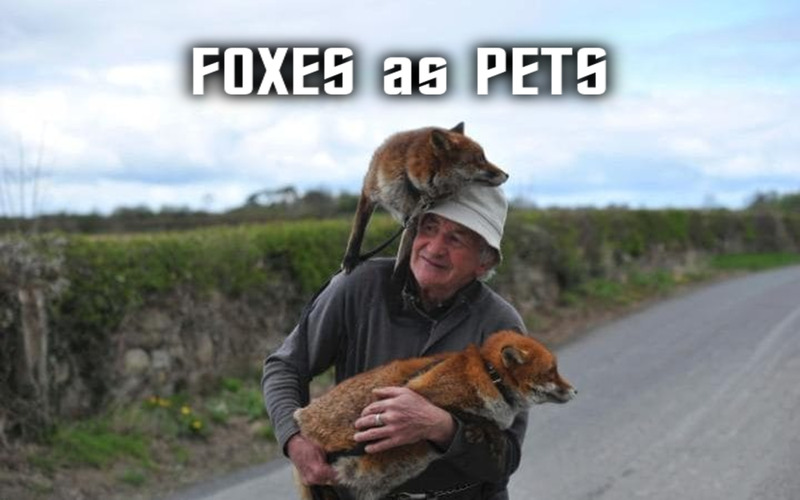 I've had 4 pet arctic foxes, along with red, silver and gray foxes too. Well done hubpage Wesman, really demonstrates the beauty of these animals (although their scent glands smell like skunk)! Best to adore from afar. Paula, this is what you are looking for!!! You can see Russia from your porch right? Where?... did I hear that? Paula! Well, in those far yankee confines you call home - a person could probably get a husky or such. However, a husky is a very energetic dawg...who needs loads of attention. That pure white fox is absolutely gorgeous. I would love a domestic dog that looks just like it!